Welcome aboard the “Uncle Oscar”! Coast Guard Certified for 49 passengers up to 20 miles offshore. Comfortable, panoramic, weather protected bench seating for all passengers. 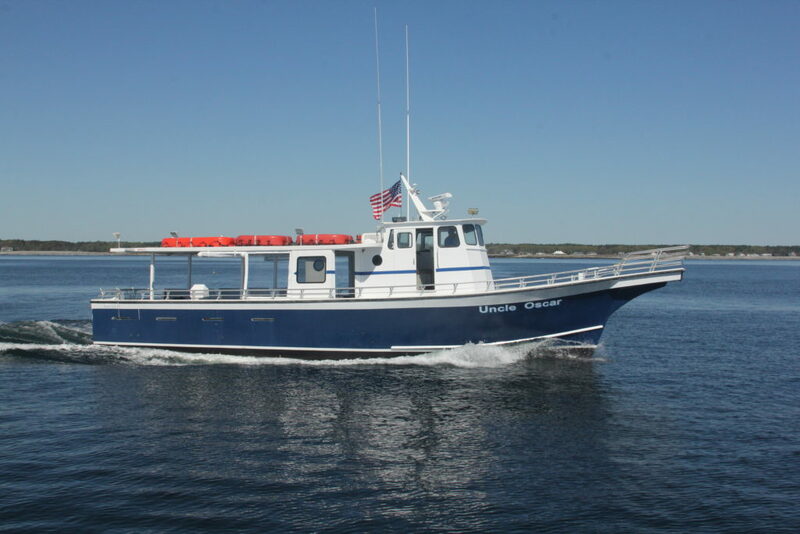 Fully Equipped: Radar, 2 GPS, 2 VHF Radios, Color Depth Sounder, Clear PA system and the latest in Coast Guard approved safety equipment. Limited Galley: Snacks, Sodas, Beer and Wine. Cordial, friendly and knowledgeable crew. A comfortable, clean, safe, and friendly Tour Boat. All of our tours are non-smoking.